We have already discussed in a previous blog the importance of social media and why you need it for your business. In this blog, we decided to look into a specific feature of Facebook—the Facebook check-ins and why this is so beneficial for your business. Facebook check-ins allow visitors to your place of business to ‘check-in’ on Facebook – meaning that their friends will see that they have visited you. But how do they do that, you will ask? Well, for a start you need to have a business page of your company on Facebook with the correct address. The process of checking-in is pretty simple, all people have to do to check-in is open their personal Facebook Page, start writing a new post and several options will appear: photo, video and check-in, which is exactly the one you need. 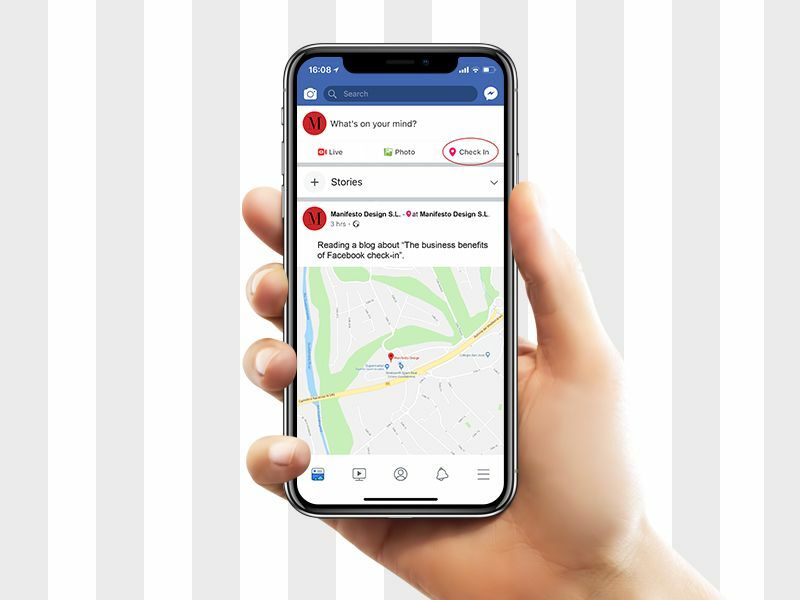 By clicking on it, Facebook will ask you to type in the name of the place you are visiting and by choosing the business location it will automatically show a map on the post and that’s it. Share the post and voila, your customers’ friends will see who, what and where your business is. Essentially, free advertising for you. This feature is especially important for restaurants, bars, cafés and shops, as a check-in results not only in free advertising, but also increased brand awareness, and is essentially an endorsement from that user. That’s why the more check-ins you can acquire on social media, the better. 88% of consumers trust online reviews as personal recommendations. If someone uses the Facebook check-in function when they visit your business, they are telling their friends on social media that they are currently at and enjoying your services or products. Checking in to a business on Facebook is a very easy thing to do for anyone who has a smartphone = 77% of all mobile phone users. With this kind of exposure, it’s important for you to make sure that your Facebook company page is up-to-date, reflects your brand and is inviting for potential clients. Free publicity is always beneficial, and as a proactive business you want to make the most of it! If you need assistance in setting up this vital tool, to help people promote your business for free, get in touch with Manifesto Design.